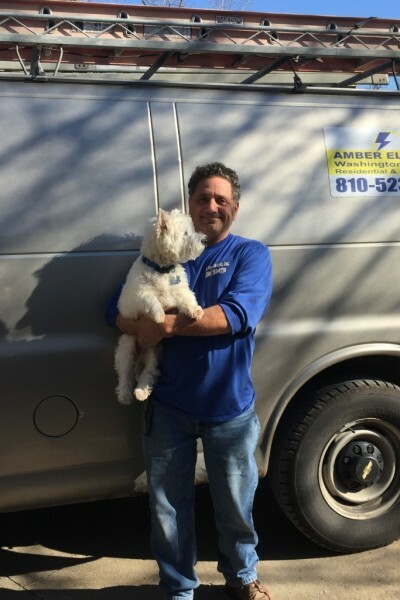 Amber Electric Inc. started serving customers of Southeastern Michigan in ​1982. Developing a strong customer base and experiencing a broad range of service​s has been developed through the many years. 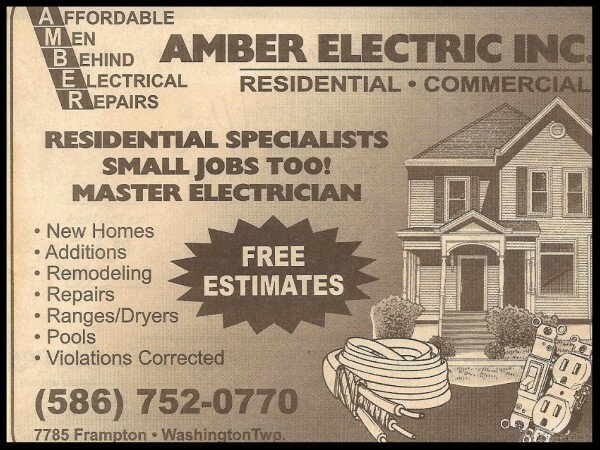 We specialize in residential and commercial electrical remodeling. John Sirhan, owner is a master electrician. "I am a hands-on business owner involved from estimating to the final wiring process. Over 33 years of kitchen and bathroom remodeling experiences. We are involved with installing new lighting or adding outlets, upgrading older homes to today's new millenium standards. We wire new builds and have installed many whole house generators. Completed many projects dealing with top design companies, architects and interior decorators. Many Michigan homes worked on in Macomb County, Oakland County, Wayne County. Active trustee of MECA (Michigan Electrical Contractors Association). Please contact John at 810-523-3776 or our office at 586-752-0770.